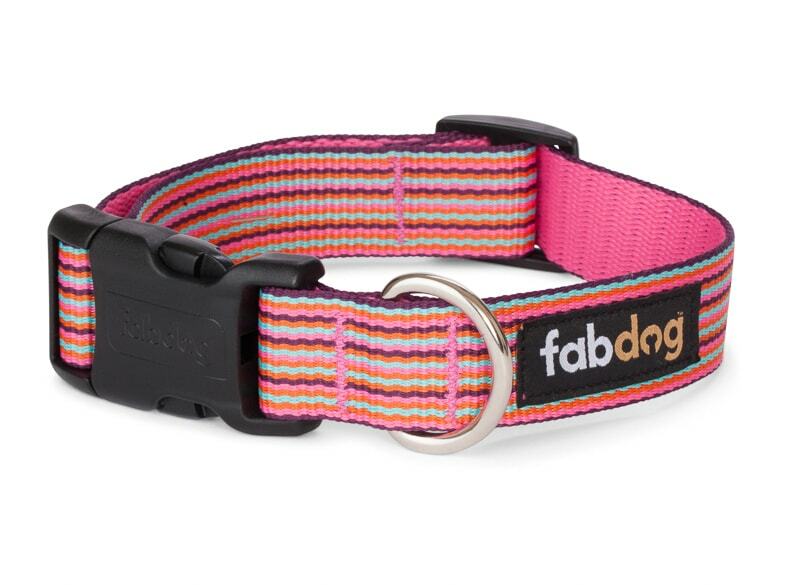 Mini stripe collars are bright and bubbly. 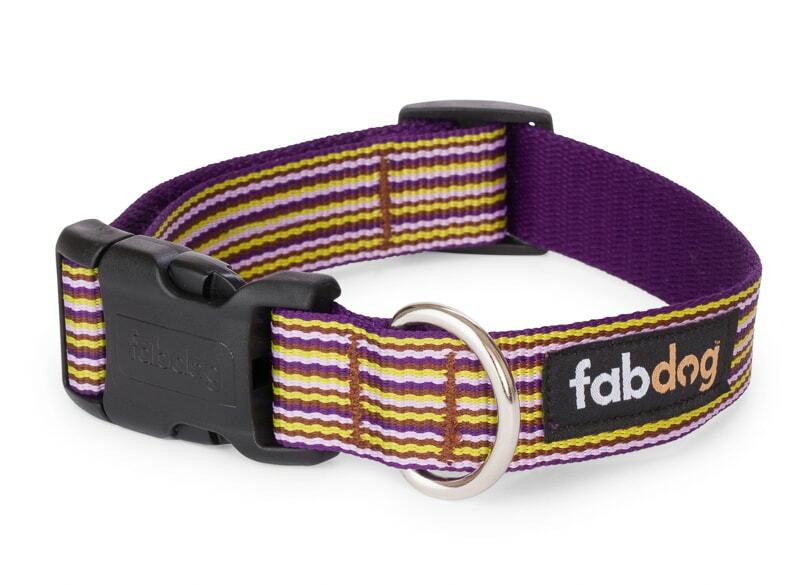 Your dog can look pretty in pink or perfect in purple; bold in bright red or sweet in sky blue. Either way, all of the other dogs will jealously bark for one of their own. 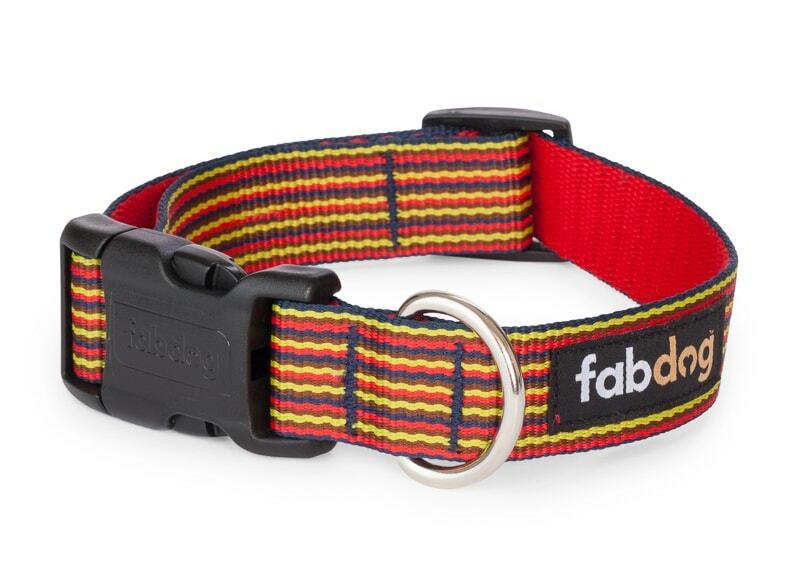 Adjustable Nylon Collar. Solid Metal D-ring. YKK Plastic Side Release Buckle. 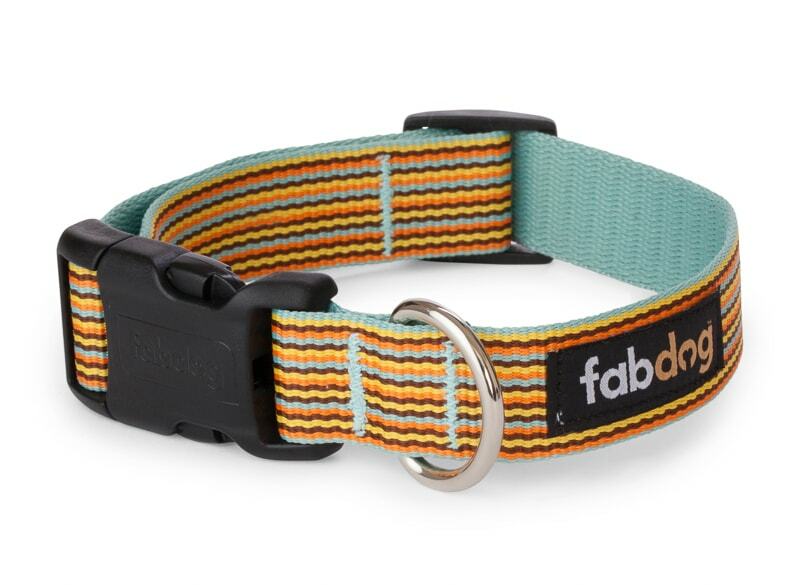 Made from 100% Certified Recycled Plastic Bottles. Machine Washable.